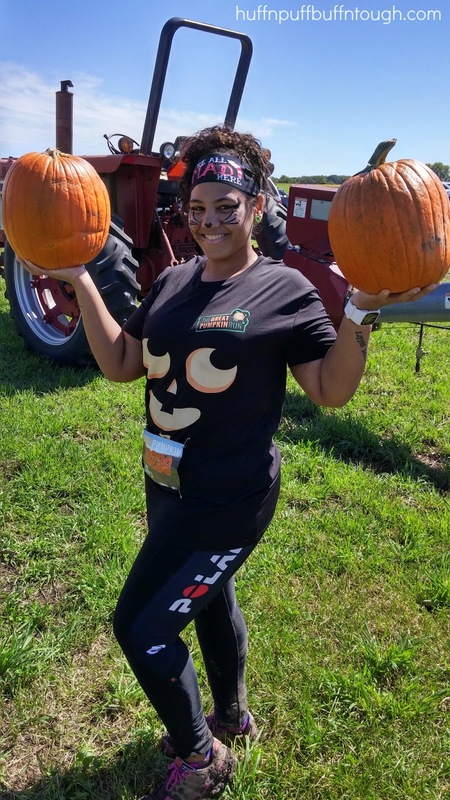 The Great Pumpkin Run was in Homer Glen, IL at Konow's Corn Maze last month and I had a B.L.A.S.T!!!!!!!! 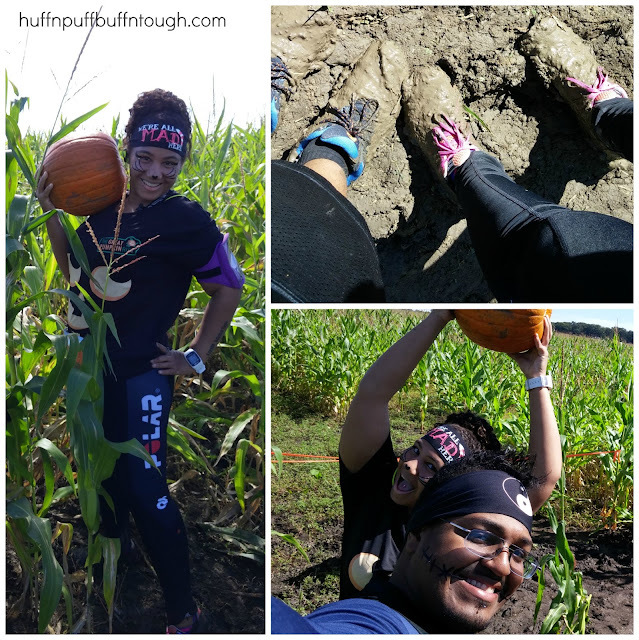 The run turned into a mud run because the area received four inches of rain 1-2 days before the race and the trails were EXTREMELY MUDDY!!! The mud was ankle deep and I almost lost my shoe numerous times! 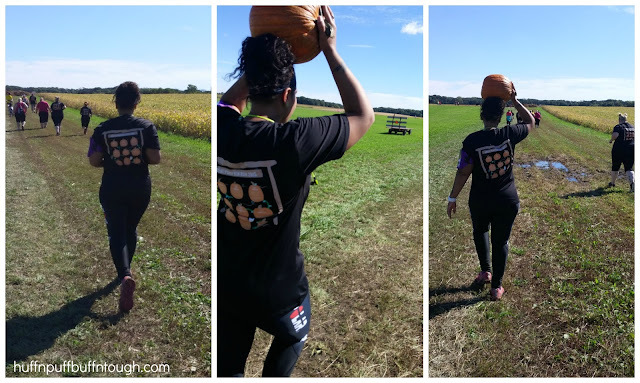 I took the "Tough Pumpkin Challenge" and I carried a 12 lb pumpkin for 3.1 miles. We were able to choose our own pumpkin of any weight. The week leading up to the race I knew I wanted to go heavy because this girl lifts heavy!! I was thinking 11 lbs and up. As the day got closer I started getting nervous thinking I should choose a lighter weight and constantly doubting myself. 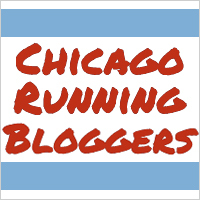 Even though I live 15-20 minutes away from the race location I was still running late thanks to my husband. Nothing new. He can't make it anywhere on time and if we are on time, we are rushing. I am so close to just driving myself to these events from now on because no matter what I do, I can't get him to be early for NOTHING! With that being said, by the time we got there most of the pumpkins were gone already and there were four left. Luckily, there were some pretty juicy ones left, so my husband and I pick one and the staff weighed them, so they could mark our bibs with the weight. Hubby's pumpkin came out to 13 lbs and mine came out to 12 lbs. I was happy with that because it was the ideal weight I had in my head that I wanted to carry. 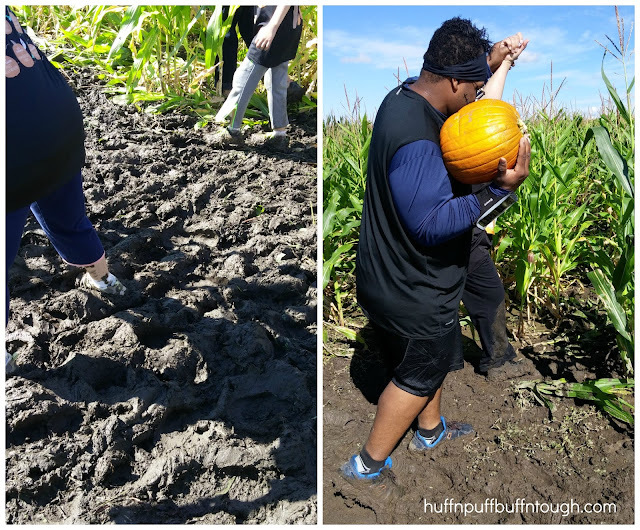 As we were getting our pumpkins weighed, I heard the horn go off and our wave had just started. Parts of the course were a little hilly, especially right before the first aid station. Very peaceful and beautiful, until I reached the muddy corn maze trail that is. 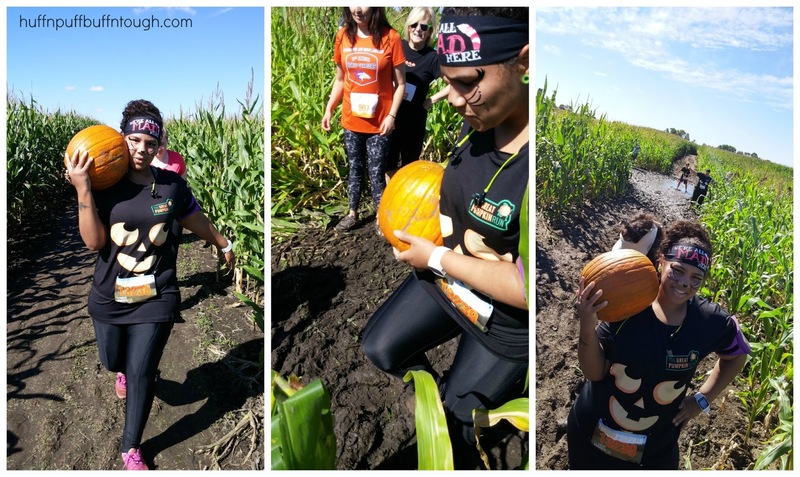 Once I got to the corn maze, I tackled the muddy trails and I took my time on that part of the course. I think everybody did. 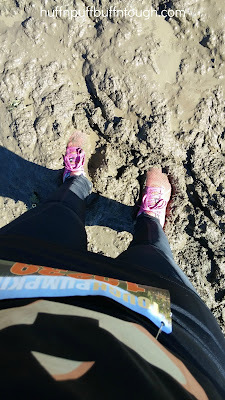 I also got lost on course along with a bunch of others because the mud was so thick and people were losing shoes left and right and having trouble moving and getting through, they started taking different paths through the maze to avoid the mud, so I followed, but ended up back on course. Hubby stopped to help some people through the mud that needed help. There really was no avoiding the mud, so I just plowed through, while helping others that needed and wanted it. 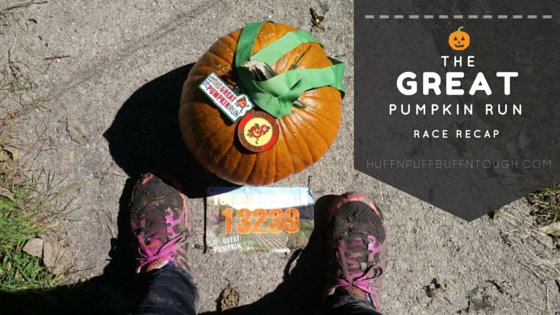 I have to admit... carrying that pumpkin during the race made me feel like a total badass!!! I loved it!! I didn't see a lot of people carrying the bigger pumpkins, so that made me feel awesome. I did get an AWESOME upper body workout from doing this and I was sore for 2-3 days afterwards. 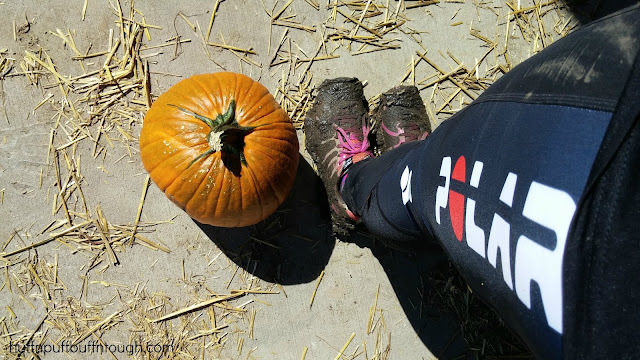 I thought it was so much fun and effective that I decided to add some weight with a medicine ball during a run, here and there. It's not something I'll do all the time, but when I switch up my workouts... I will definitely add this in. 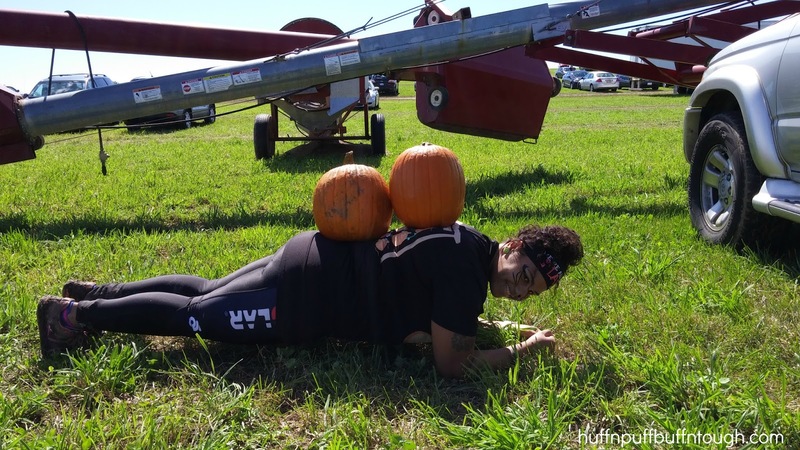 This race wouldn't have been complete without some weighted planks thrown in! After the race we spent an hour at Konow's and had a good time. 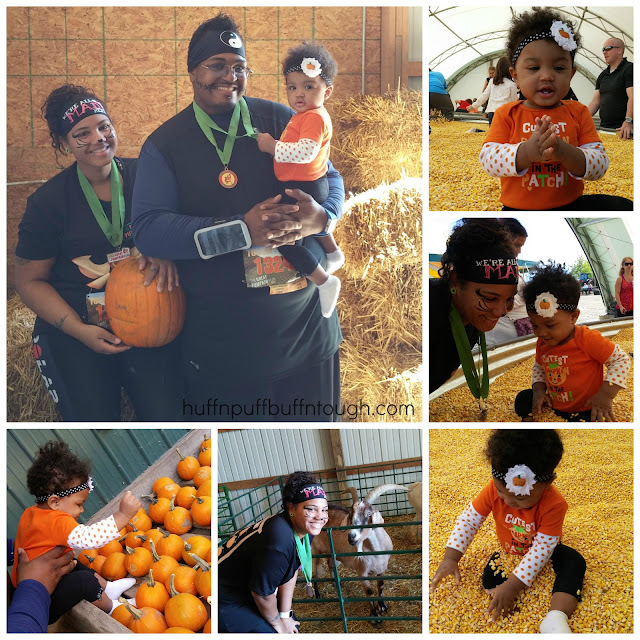 Harlie Jade LOVED, LOVED, LOVED the corn pits and did not want to leave. She was so upset when I had to pull her out. She didn't care for the animals. She didn't like the goat and was freaked out by the cow we saw. It was so funny! We had a good day and I had fun dressing up with my cat face. Definitely a race I'll do again.